The Muhlenberg Brigade was led by Montgomery County native Peter Muhlenberg. Muhlenberg was a Lutheran pastor until the outbreak of war, when he was authorized as a colonel, raising the 8th Virginia Regiment of the Continental Army. By early 1777, he had risen to the rank of brigadier general, with his troops seeing service in the Battles of Brandywine, Germantown and Monmouth. 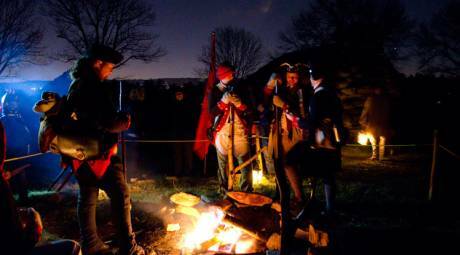 Muhlenberg's men were among those who arrived in Valley Forge on December 19, 1777. 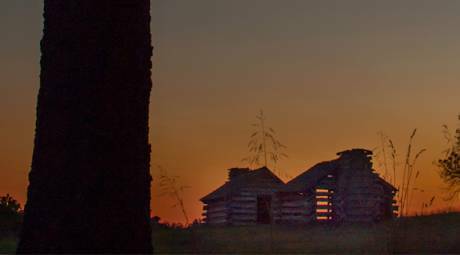 A series of recreated huts have been built on the site where Muhlenberg's men were encamped. 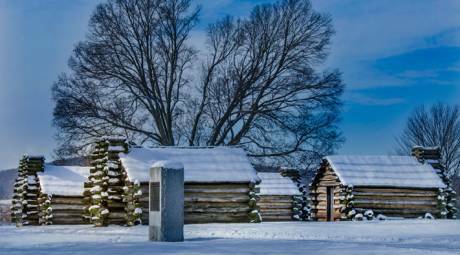 The original huts were built in a matter of days within arriving at Valley Forge, with George Washington turning it into a competition among the men to see who could build fastest. Each one of the huts would house a dozen soldiers, crammed on bunks. Many of the huts in the Muhlenberg Brigade, and around the park, are open for visitors to enter, or gaze in, to see what living conditions were like in the camp. Living history interpreters and volunteers can be seen at the huts on weekends during the spring and fall, and daily during the summer. Re-enactors help tell the story of daily life in the camp through interaction with visitors and hands-on demonstrations.